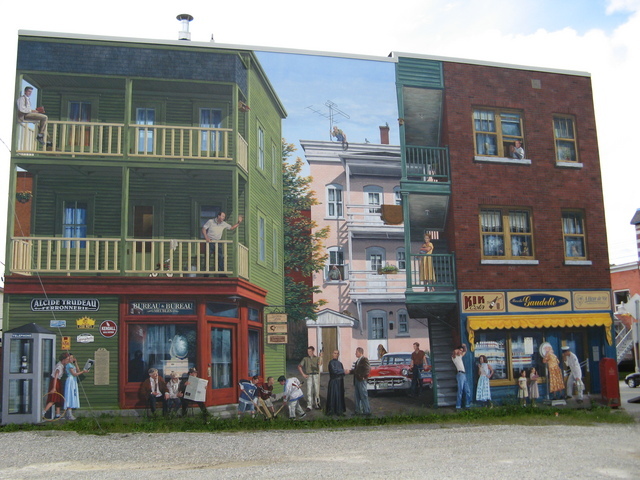 This mural pays tribute to Sherbrooke’s southwest district named “Le Petit-Canada” (Little Canada) and inhabited by French-Canadian workers. Illustrated here on September 27th 1957, this district was linked to the textile, mechanical engineering and metallurgy industries. 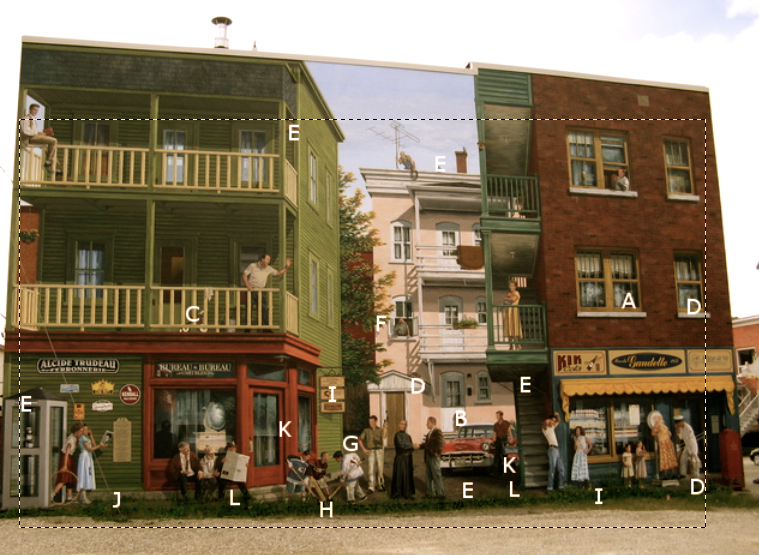 The neighbourhood consisted mostly of large post war baby-boom families. This district included, at that time, square houses with large galleries, alleys and backyards, resulting in convivial neighbourhoods. At that time, Sherbrooke was becoming increasingly active with its burgeoning university and the arrival of new technologies, such as television. In this scene, a backdrop of Elvis Presley music, Chevrolet Bel-Air cars and the Sainte Flanelle set the stage for the appearance of a few local personalities and familiar merchants.